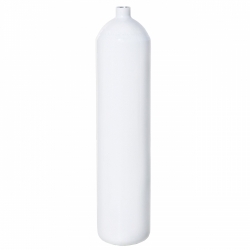 If you want a high quality long durable diving bottle are you on the correct address. Our diving bottles are made from high quality chrome molybdenum steel, which guarantee maximum safety, longevity and usability. 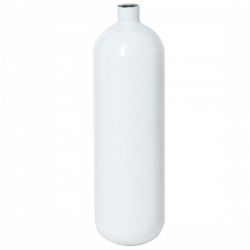 We offer wide range of volumes from one liter argon bottle to heavy 20 liter twin sets. 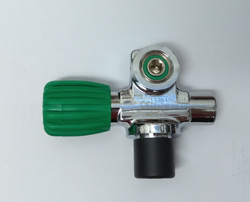 You can choose a working pressure from 200, 230 and 300 bar (3000, 3360 and 4500 PSI). New manufacturing technology allows get wall of diving bottles thinner with unchanged safety and so we get a low weight. Our steel 7 liter diving bottle with 200 bar working pressure has positive buoyancy when is empty. So we can use it as a stage or decompression diving bottle although it’s steel. Because steel is stronger and more ductile than aluminum, construction of diving bottles requires less steel than aluminum. 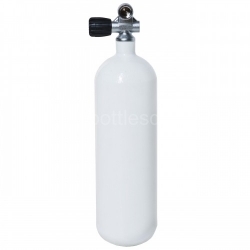 This usually means that for an equal gas capacity, a steel diving bottle will have a total weight less than an aluminum tank yet have better buoyancy characteristics. The service life of a properly cared for steel diving bottle is widely considered to be at least 40 years. The service life of a properly cared for aluminum diving bottle is more controversial, but some dive shops no longer fill an aluminum tank over 15 years old. In general, most experienced divers strongly prefer the buoyancy characteristics of steel tanks to those of aluminum. Steel tanks shift from negative to neutral buoyancy, and this allows the diver to begin the dive with less weight and still be properly weighted at the end of the dive. 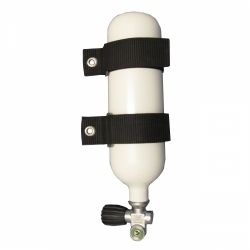 If you want a high quality long durable diving cylinder are you on the correct address. Our diving cylinders are made from high quality chrome molybdenum steel, which guarantee maximum safety, longevity and usability. We offer wide range of volumes from one liter argon bottle to heavy 20 liter twin sets. 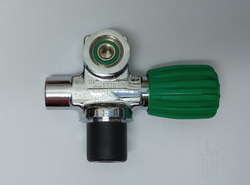 You can choose a working pressure from 200, 230 and 300 bar (3000, 3360 and 4500 PSI). New manufacturing technology allows get wall of diving cylinders thinner with unchanged safety and so we get a low weight. 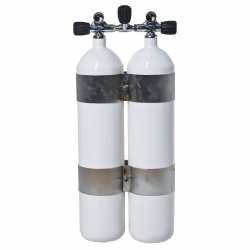 Our steel 7 liter diving cylinder with 200 bar working pressure has positive buoyancy when is empty. So we can use it as a stage or decompression diving bottle although it’s steel. Because steel is stronger and more ductile than aluminum, construction of diving cylinders requires less steel than aluminum. This usually means that for an equal gas capacity, a steel diving cylinder will have a total weight less than an aluminum tank yet have better buoyancy characteristics. The service life of a properly cared for steel diving cylinder is widely considered to be at least 40 years. The service life of a properly cared for aluminum diving bottle is more controversial, but some dive shops no longer fill an aluminum tank over 15 years old.